Turkey’s Central Bank just increase their discount(?) rate from 7 to 12 percent per annum. That is 5 full percentage points in one fell swoop. By the way, the Turks were not alone as India did something similar and Argentina is on an even worse path. The market is applauding this as a good move, perhaps because it will, briefly, stem the downward trajectory of the Lira. 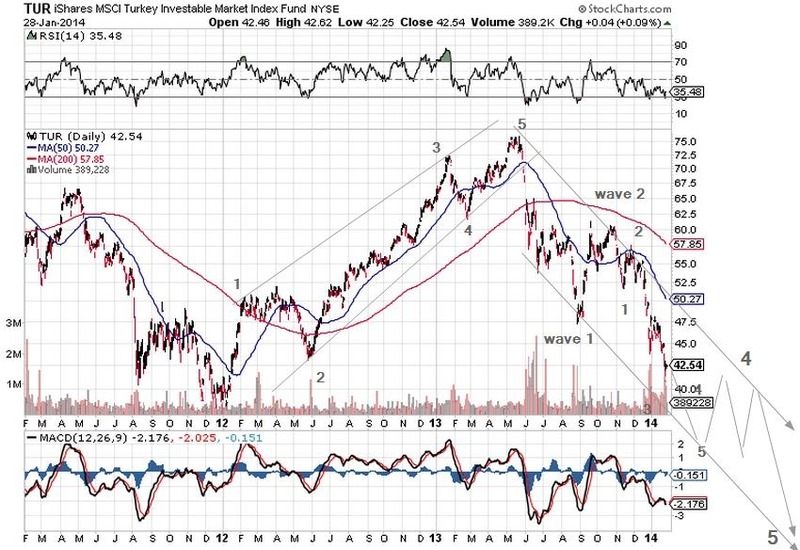 Above is the MSCI ETF, it earns a little over 5%. The question now is, how is it that low rates are good for the markets and high rates are also good for the market. The other question is why would anyone buy this ETF to earn a respectable 5+% if you can earn almost three times as much with owning the proverbial “risk-free” Turkish government bonds?? The Turks have done amazing things in the last twenty/thirty years. There are now two bridges over the Bosphorus and a tunnel recently completed. 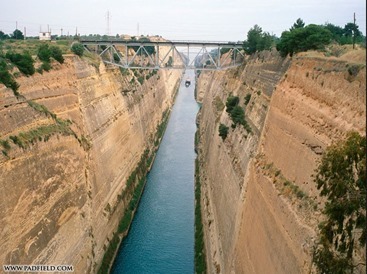 There are plans to dig a canal across the European side, much like the Corinth Canal in Greece but much longer (about 45km) in order to relieve the congestion in the Bosphorus itself ( projects like this have been proposed at least seven times before, first by the Ottomans back in the fifteenhundreds). Such ambitious plans will die on the drawing board at rates above 10% and or the lack of foreign capital. One of the unintended consequences of the US Fed. policy, that has no regard for consequences outside the US despite being the world’s reserve currency, is that it gave rise to false hopes that will soon be completely dashed. For those of you that have never sailed through the Corinth Canal – today’s cruise ships do not fit – , here is a picture that shows the massive scale of this only 6 km long canal completed just before the turn of the last century (1893). Makes digging a subway in Toronto look like a picnic in the park. GIB.A , CGI Group ( GIB=CGI, well at least two letters).